Helma KITTELSON was born in 1893. Parents: Erik KITTELSON and Segrud BRED. Inga Caroline KITTELSON was born on Sep 12, 1892 in Canton, South Dakota. She died on Apr 10, 1958 in Tacoma, Pierce, Washington. Parents: Nels Ole KITTELSON and Grete or Grethe Pauline PETERSON. Ingeborg KITTELSON was born on Apr 8, 1858 in Gol, Hallingdal, Buskerud, Norway. [NEED TO DEFINE SENTENCE: Christened] Parents: Kittel OLSEN and Kari ERIKSDATTER. Jeanette Amanda Kettleson KITTELSON was born in 1920. Parents: Nils or Nels Oles Kettleson or KITTELSON and Mollie C JACOBSON. John Henry KITTELSON was born in 1894. He died in 1950 in Spokane, Spokane, Washington. Parents: Nels Ole KITTELSON and Grete or Grethe Pauline PETERSON. Malber Glenn KITTELSON was born on Jul 6, 1909 in Middleton, Dane, Wisconsin. He died bfr 1930 in Ladysmith, Rusk, Wisconsin. Parents: Nils or Nels Oles Kettleson or KITTELSON and Mollie C JACOBSON. Markus or Marcus P. KITTELSON was born about 1879 in , , South Dakota. Died young. Parents: Nels Ole KITTELSON and Jacobsen NICKOLENE Jacobsen. Martha KITTELSON was born in 1887. Parents: Erik KITTELSON and Segrud BRED. Nels Bud Kettleson or KITTELSON was born in 1908. Parents: Nils or Nels Oles Kettleson or KITTELSON and Mollie C JACOBSON. 1902. Parents: Kittel OLSEN and Kari ERIKSDATTER. Spouse: Jacobsen NICKOLENE Jacobsen. Nels Ole KITTELSON and Jacobsen NICKOLENE Jacobsen were married about 1871. Children were: Clara Maria KITTELSON, Carl Edwin KITTELSON, Nils or Nels Oles Kettleson or KITTELSON, Gets Emanuel KITTELSON, Helmer Christus KETTLESON, Markus or Marcus P. KITTELSON. Spouse: Grete or Grethe Pauline PETERSON. Nels Ole KITTELSON and Grete or Grethe Pauline PETERSON were married on Feb 6, 1885 or 1889 in Highland, , Dakota. Children were: Gets Emanuel KITTELSON, Oscar KITTELSON, Norman KITTELSON, Peter George KITTELSON, Inga Caroline KITTELSON, John Henry KITTELSON, Nora KITTELSON, Arthur Melvin KITTELSON, Ole KITTELSON. Nils or Nels Oles Kettleson or KITTELSON was born on Mar 17, 1873 in , , South Dakota. He died. Had seven children. Parents: Nels Ole KITTELSON and Jacobsen NICKOLENE Jacobsen. Spouse: Mollie C JACOBSON. Nils or Nels Oles Kettleson or KITTELSON and Mollie C JACOBSON were married about 1904 in Middleton, Dane, Wisconsin. Children were: Evelynn Anneta Kettleson or KITTELSON, Nels Bud Kettleson or KITTELSON, Malber Glenn KITTELSON, Emela Kettleson or KITTELSON, Wanda May Kettleson or KITTELSON, Walter Juan Kettleson or KITTELSON, Jeanette Amanda Kettleson KITTELSON. Nora KITTELSON was born on Feb 22, 1895. She died in 1921 in Sunrise, Wyoming. 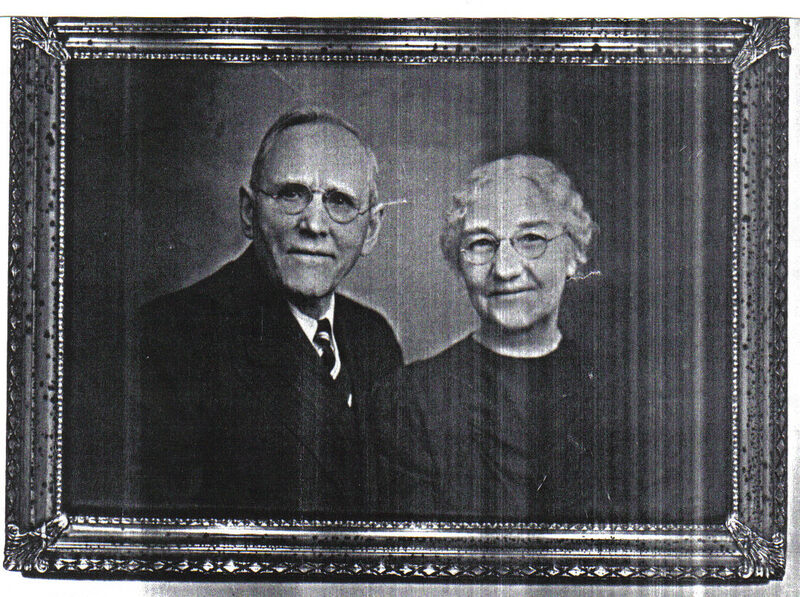 Parents: Nels Ole KITTELSON and Grete or Grethe Pauline PETERSON. Norman KITTELSON was born in Oct 1889. He died in 1917 in Vancouver, Clark, Washington. Parents: Nels Ole KITTELSON and Grete or Grethe Pauline PETERSON. Olaf KITTELSON was born in 1886. Parents: Erik KITTELSON and Segrud BRED. Ole KITTELSON was born on Nov 6, 1899. He died on Apr 3, 1934 in Portland, Multnomah, Oregon. Parents: Nels Ole KITTELSON and Grete or Grethe Pauline PETERSON. Oli KITTELSON was born in Sep 1813 in Christiania, , Norway. He died after 1900 in Nutley, Day, South Dakota. Parents: Ole OLSEN and Gunille KITTELSDATTER. Spouse: Torbor. Oli KITTELSON and Torbor were married about 1838. Oscar KITTELSON was born in 1886. Parents: Nels Ole KITTELSON and Grete or Grethe Pauline PETERSON. Palma KITTELSON was born in 1929. Parents: Arthur Melvin KITTELSON and Paula. Paula KITTELSON was born in 1925. Parents: Arthur Melvin KITTELSON and Paula. Peter George KITTELSON was born on Feb 15, 1891 in Canton, South Dakota. He died on Oct 3, 1973 in Portland, Multnomah, Oregon. Parents: Nels Ole KITTELSON and Grete or Grethe Pauline PETERSON. Scalina KITTELSON was born in 1891. Parents: Erik KITTELSON and Segrud BRED. Selmar KITTELSON was born in 1899. Parents: Erik KITTELSON and Segrud BRED. Telman KITTELSON was born in 1895. Parents: Erik KITTELSON and Segrud BRED. Theador KITTELSON was born in Dec 1884 in , , Dakota. Parents: Erik KITTELSON and Segrud BRED. Walter Juan Kettleson or KITTELSON was born in 1919. Parents: Nils or Nels Oles Kettleson or KITTELSON and Mollie C JACOBSON. Wanda May Kettleson or KITTELSON was born in 1913. Parents: Nils or Nels Oles Kettleson or KITTELSON and Mollie C JACOBSON. Spouse: Harold BROWN. Children were: Ronald BROWN. Catharina Elisabeth Frank nee KLEIN was born in 1856. Spouse: Conrad ROMMEL. Conrad ROMMEL and Catharina Elisabeth Frank nee KLEIN were married on Dec 27, 1894. Children were: Conrad ROMMEL, Philipp ROMMEL, Margaretha ROMMEL, Philipp ROMMEL. George KLOSE was born about 1778 in Moore Township, Northampton County, Pennsylvania. Jonelle Kay KNAUS was born in 1940. Spouse: Peter Louis NANCE. Peter Louis NANCE and Jonelle Kay KNAUS were married in 1958. Children were: Julie Ann NANCE, Suzanne Kay NANCE, Marianne Kay NANCE. Spouse: Andrew KAUFFMAN. Andrew KAUFFMAN and Elizabeth KNEISSLE were married in 1717 in Millersville, Lancaster County, Pennsylvania. Children were: Christian Bomberger KAUFFMAN. Children were: Anna Barbara KNERR. Anna Barbara KNERR was born on Jan 13, 1748/49 in Lowhill Township, Lehigh/Northampton County, Pennsylvania. She died on Mar 6, 1831 in Manallen Township, Adams County, Pennsylvania. She was buried in Mar 1831. Parents: Abraham KNERR. Spouse: John Adam GEISS. John Adam GEISS and Anna Barbara KNERR were married after 1766 in Lehigh/Northampton County, Pennsylvania. Children were: Anna Barbara GEISS, Abraham GEISS, John Adam GEISS, Anna Elizabeth GEISS, Heinrich GEISS, Johann Jacob GEISS, Eva Catherine GEISS. Christofer KNOWLES was born in 1971. Parents: Clyde KNOWLES and Susan Marie BROESCH. Spouse: Susan Marie BROESCH. Clyde KNOWLES and Susan Marie BROESCH were married in 1970. Children were: Christofer KNOWLES, Kimberly KNOWLES. Kimberly KNOWLES was born in 1975. Parents: Clyde KNOWLES and Susan Marie BROESCH. Maria Catharina KOCH was born in 1843. Spouse: Georg Jacob ROMMEL. Children were: Maria Catharine ROMMEL. Spouse: Michael Joseph HURRELL. Michael Joseph HURRELL and Sharon KOEHLER were married in 1963. Children were: Mark HURRELL, Timothy HURRELL, Lori HURRELL. Spouse: James Edward WINTER. Children were: James Edward WINTER, Daniel Paul WINTER, Rachel Lynn WINTER. Anna Marie KOHL died on Feb 7, 1681/82 in Ober Derdingen, Wurtemburg, Germany. She was buried in Feb 1681/82. She was born in Leonberg. Anna was the second wife of Sir Hans Christoph Yppich. Parents: Michael KOHL. Spouse: Hans Christoph (Sir) YPPICH\IPPICH. Hans Christoph (Sir) YPPICH\IPPICH and Anna Marie KOHL were married in 1659 in Derdingen, Wurtemburg, Germany. Children were: Anna Dorothea YPPICH. Children were: Anna Marie KOHL. Margaret KOHN. Parents: Nick KOHN. Mary Ann KOHN was born in 1953. Parents: Nick KOHN. Spouse: Jack Norman DAVIS. Jack Norman DAVIS and Mary Ann KOHN were married in 1992. Nick KOHN. Parents: Pete KOHN and Mary. Children were: Margaret KOHN, Raymond KOHN, Mary Ann KOHN. Spouse: Molly ROMMEL. Nick KOHN and Molly ROMMEL were married on Oct 14, 1935 in Nipawin, Sask. Canada. Spouse: Mary. Children were: Nick KOHN. Raymond KOHN. Parents: Nick KOHN. Spouse: Isabelle OLSON. Raymond KOHN and Isabelle OLSON were married in 1961. Jessica Ann KOSCIELAK was born in 1981. Parents: John KOSCIELAK and Karlene Marie WARNER.